Land Commission U. P. R. R.
CHICAGO, - - - ILLINOIS. Entered according to an Act of Congress in the Year 1879. by HARRISON JOHNSON, in the office of the Librarian of Congress, at Washington, D. C.
Through whose large enterprise, indomitable energy and great liberality, in the brief space of twenty-five years, an unorganized Territory has developed into a prosperous Commonwealth, that now occupies a proud and important position, politically and commercially, in the Union of States, this volume is respectfully dedicated by the author. 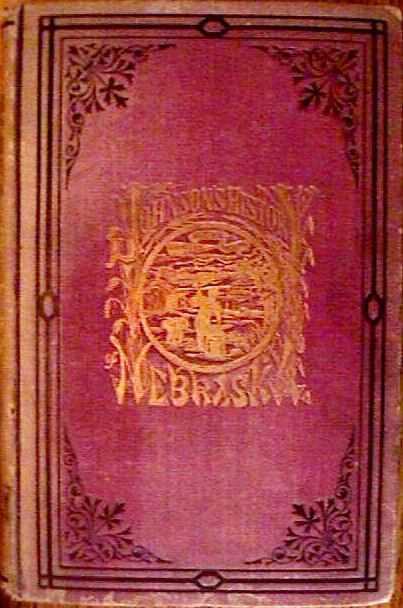 In presenting this work to the public, the author recognizes the widespread demand throughout this country, as also in the different sections of Europe, for a more reliable and comprehensive description of the great State of Nebraska than has yet been issued from the press. This work not only embraces a full and complete description of every County, City and Town in the State, in which the advantages and disadvantages offered to immigration are impartially set forth, but includes a reliable history of the State, and the territory from which it was organized, from 1803 up to the present time. While much time and labor has been expended on the historical portions of the work, the primal object of the author has been to obtain by personal observation, correct information relative to the topography, climate, soil, productions, rainfall temperature, water supply, amount of timbered and prairie lands and their value per acre, educational advantages and prospects, religious privileges, character of the people, railway advantage and market facilities, and other valuable and interesting facts connected with a State that the moving millions, both of this country and Europe, are making the most earnest inquiry for. In a condensed, reliable and readable form this material and important information is now presented to the public. Our work is done. The volume is completed, and only awaits the Introduction. The printers are clamoring for this, and only a few more lines and the History of Nebraska, on which we have spent so many anxious hours, will be in type for the use of our numerous friends and subscribers, who are found all over the State, and, indeed, all over the country. The work has been no sinecure. It covers the history of sixty-five counties, extending over a State of 80,000 square miles, and illustrates a period of time - the most eventful of the Nation's existence - of a quarter of a century. Stirring times have these been that have witnessed the throes of a mighty nation for existence, and have brought peace and quiet and life throughout our borders instead of anarchy and misrule and terror and death. The closing of the war brought many of the citizen soldiers to the broad fertile fields of this new State to claim their land privileges and make for themselves and their children a name and a home. And these have not come unattended, but from the four quarters of the globe the swelling thousands have come to settle with those that have made their way hither from the older States; and of these there are representatives from every State from Maine to Texas and from every Territory of the Rocky Mountains. More than 50,000 have come in during the present year to people the vast prairies that stretch in such wonderful extent and beauty through the eastern and middle portions of Nebraska. And the immigration has just commenced. Only some of the salient points are yet taken, and there is still room for an empire to occupy the fruitful lands that yet lie, in their virgin soil, waiting for the coming of the husbandman. The streams are waiting to turn the busy spindles and move the machinery that shall give bread to the millions and clothing to the masses. the unbroken wilderness, and making it literally, "bud and blossom as the rose." Before the days of the present century are numbered, and many think some years before, the center of wealth and power and political influence for the whole country will be in the Mississippi Valley, and Nebraska will do her full share to change this center of civilization to the banks of the Father of Waters. It seems but yesterday that the painted savage called this State his home. He was "monarch of all he surveyed," His tepees were reared on the banks of the streams and his council fires blazed on the sites of our cities and towns. He followed in the chase with his bow and arrow, the buffalo and deer, the antelope and the elk; and the wolf and bear followed his steps to gather up the remnants of the slaughtered buffalo and those of the moving camp. The war-whoop rang out on the clear morning air, and if time had not erased nearly all their rude records, there would be strange tales of many a well fought field, of lurking foes, of savage cruelty, and, doubtless, of manly courage and magnanimity creditable to these untutored sons of Nature, whose only light was that of heathenish darkness. they saw the smoke of rising cities, the highways of commerce, and some of them saw the highway of nations, so long a fable to the American people, stretching up through their valleys to the everlasting mountains and on to the broad Pacific. They saw it more clearly than Brigham Young, the Mormon prophet, saw the "Jordan" and the great lake, and the busy city, and the fruit and grain and "cattle on a thousand hills," for the people that he was leading. They believed fully in the future possibilities of the new commonwealth, and they determined to bear an active, generous and enterprising part in the mighty development of the coming civilization. How well their dreams have been realized and their sacrifices been repaid may be seen by looking over this immense State. It has laid aside its territorial dependence - become one of the States of the Union. Its cities and towns crown the hill-tops and nestle, by the winding streams. The iron horse not only sweeps through the State from east to west, bearing the wealth of China and Japan and the products of the Atlantic coast and the Golden Gate, but the State is gridironed with railroads that bear the millions of surplus bushels of grain and herds of cattle and flocks to distant markets in the east, west and south. The dug-out and log-cabin and modest frame house of one room have given place to the elegant mansion or the comfortable farm house, surrounded by the thousands of groves that have sprung up almost by magic all over the prairies, until Nebraska from an open prairie begins to look like a wooded country. The church spire and the school house, in true Puritan style, have become the institutions of freedom and progress, and they are found on every hand as the beacon lights of a free, progressive civilization; and all this has come from the rude beginnings of worship in the open air or in humble dwellings. their trials and successes lost forever, if from the first a faithful record had been kept of the early days. And the object of this book has been to save from oblivion as much as possible of the early history of the pioneers of each county in the State. Of course it would not require a miracle alone but a good many miracles to give an entirely correct account of the work of a quarter of a century of busy western life. This cannot be done, and the author only hopes to approximate to the truth. 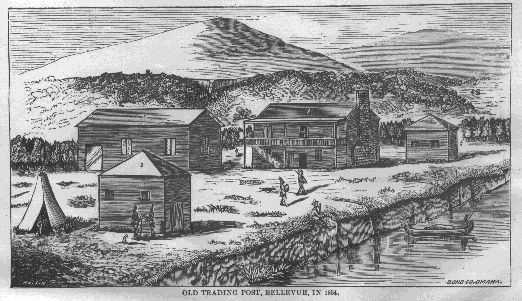 His efforts have been to give a full, impartial, accurate statement of current events, and for years he has been taking notes, consulting with old settlers, gathering statistics, getting facts and incidents, and illustrations for his work. He has, as intimated in the commencement of the introduction, traveled thousands of miles by rail and stage, and private conveyance, and frequently through the entire Platte Valley to the Mountains. He has been brought face to face with many of the men of the early days and has gathered his information from their lips. For the later information with regard to the Counties he has been obliged to depend in a great measure upon the reports of judicious, careful men, residents of the Counties. In most of the Counties some of the first pioneers are found who remember with more or less distinctness the occurrences of the early days, and who have a vivid recollection of their experiences in the wilderness, From these men the most reliable information has been received. And the author desires to make his acknowledgments, not only to these, but to numerous persons that cannot be named in various parts of the State. Some Counties and individuals have responded promptly to requests for information, while others have given no attention to the subject whatever. The author also desires to say that his aim has been to be wholly impartial in his history and representations, and he has not received one penny from any corporation or individual for the insertion of any article or cut in this volume. sources. The vast fields are spread out so that those who contemplate settlement here may judge of the attractions, compare the localities and decide as to the best place for them to locate. That Nebraska is destined to become one of the richest and most populous States of the Union can no longer be doubted. But this subject is almost too vast for human thought. It comprises the progress of the age and the race. But few live but would be glad to re-visit these scenes when a century, or half that time, has rolled away. When Nebraska will be numbered not by hundreds of thousands but by millions, when her cities will vie with the largest of the olden States, when the sound of the loom and the spindle will be heard beside all her waters, when, not only the genius of agriculture, but that of manufactures, shall be developed throughout the commonwealth, and when science and art shall be enthroned with their handmaids, education and religion, and with free institutions shall be the crowning glory of a great State. It is an inspiring thought that we, the first settlers in this then far off country, are laying the foundations of a mighty empire. They should be laid broad and deep. They should be built upon virtue and truth, morality and pure religion, and with such a foundation and with such material prospects, there can be no doubt of the future of Nebraska. Page 129. In Eleventh line from top, should read 100,384.08 acres, instead of 10,184,448. Page 187. In Seventh line from top, the word pensions should be pardons. Page 257. In Sixth line from bottom, the Germans should be two Germans. Page 291. In Second line from bottom it should read Daniel S., instead of David S.
Page 296. In Third line from bottom, Farnam and Ninth should read Farnam and Tenth. Page 309. In Ninth line from bottom, it should read Kuhns & instead of Kountze. Page 312. Physical culture should read physical features.